We really wish that we could tell you that you’ll never run into problems with your air conditioning system. Our high standards prevent us from doing so, however, as this would be flagrant misinformation. If you ever encounter a technician or a contractor claiming to have the solution to all potential AC problems, you know that you’ve found someone not deserving of your trust. The fact is that you’ll need AC repair in Grand Rapids at some point. When you do, it is always to your benefit to schedule such repairs promptly. In any case, this is going to help limit the amount of damage done to your system. In the event of a refrigerant leak, it can help to prevent a fixable problem from destroying your air conditioner entirely! Refrigerant leaks are as common as they are detrimental to AC systems, so you should really have a basic understanding of what problems they can cause—and how you can spot potential signs of a refrigerant leak in your home. We would love to tell you that there is a way in which you can prevent any and all problems from developing with your home cooling system. As you have probably guessed, though, this simply is not the case. All air conditioners are going to need repairs at some point. It truly is a matter of “when,” not “if”. That being said, there are a few different ways in which you can help to avoid many problems with your air conditioning in Rockford, MI. Routine air conditioning maintenance is definitely the best way to keep your air conditioning system functioning as effectively, reliably, and efficiently as possible. 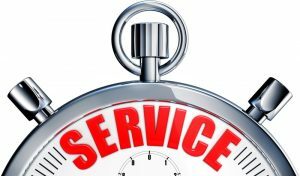 By and large, air conditioning maintenance is something that must be left to the trained professionals. However, there is one very important and very simple step that you can take to help keep your system functioning properly. That step? 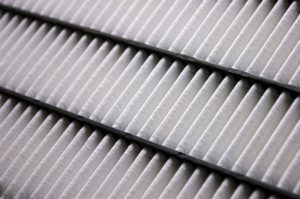 Changing your air filter regularly.